Doing laundry is such a mundane task, we rarely give it much thought. In our heavily industrialized society we take for granted labor-saving devices such as the washing machine. This sort of thing is beyond the means of most Amazon people, who have to wash every sock, shirt and pants by hand. These scenes shown below common all over the region. 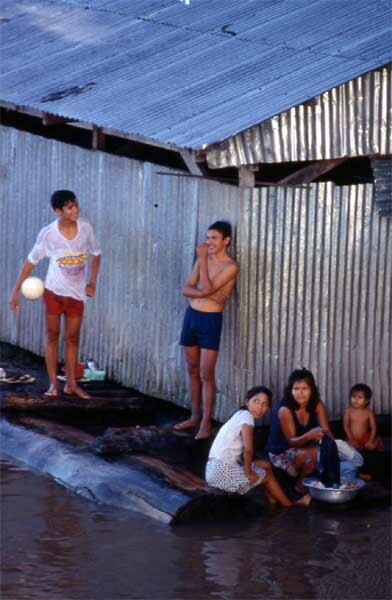 This family lives on a floating house and they use the river to wash clothes, for personal hygiene and drinking water and waste disposal. Most of the rivers flow fast enough, and most settlements are small enough that this multiple use does not cause significant health problems. 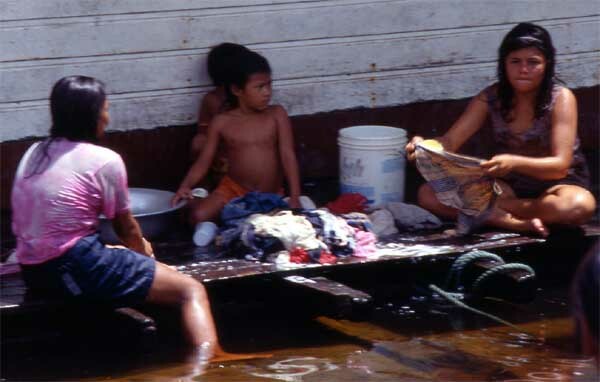 In areas of fast-growing population where rivers become crowded, diseases such as cholera and typhoid occasionally become epidemic.